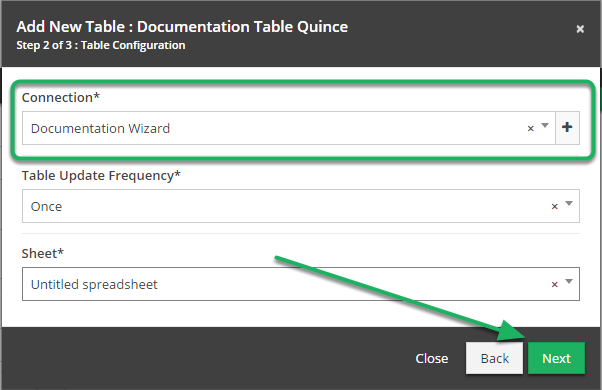 Documentation and SupportReleases Quince Release Notes 2016-08-09When creating a Table from within a Wizard, the connection information is automatically filled in. 1. 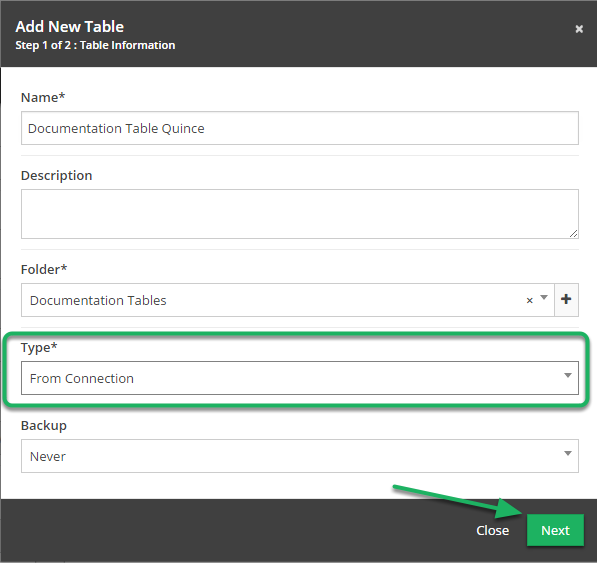 Click the 'Add New Table' button (+) in the Active Table(s) column. Note that 'Type' is already filled out. Click 'Next' to continue. 3. Fill out the 'Table Configuration'. Note that 'Connection' is already filled out. Click 'Next' to continue. Prev: Mashup Value Wizard interface improvements. Next: Custom Field Types now use Business Rule style triggers.